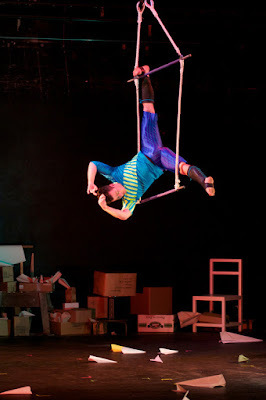 T on his trapeze, in a costume he crafted. What's your favorite podcast/music/audiobook genre to listen to when you sew? I'm a giant Harry Potter nerd, I read/listen through them at least once a year, so that helps a lot. I also have an affection for Wait Wait... Don't Tell Me! If I run out of podcast ideas, I'll just find a TV show I don't really care about on Netflix and leave it on next to my machine while I sew. What sewing skill are you most proud of? Hmm, I would say my eclectic fabric choices that most people think is crazy, until they see the finished product, and they have a change of heart (most of the time). Ooooh, or my ability to put invisible zippers into spandex costumes. 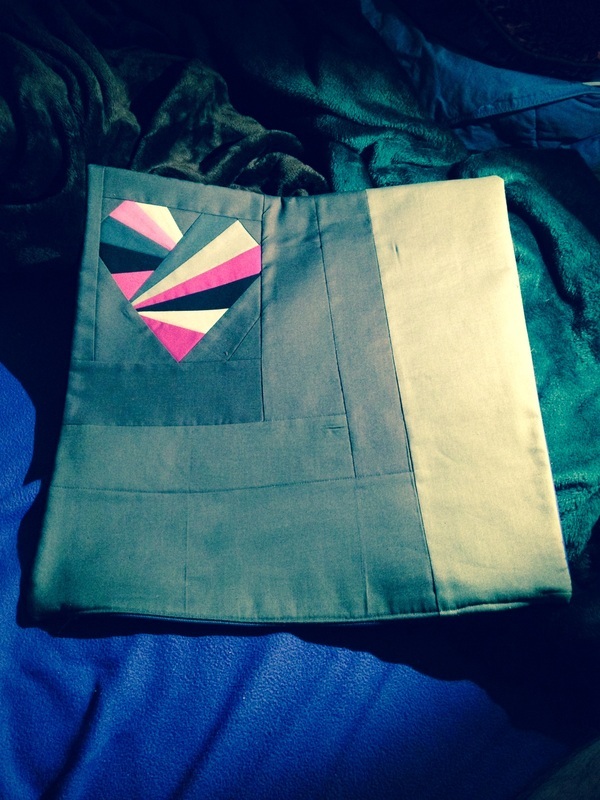 This pillowcase I made that I feel really demonstrates my aesthetic quite well. What skill are you itching to master? I would love to confidently sew curved seams. When I have to do a curve seam, I pin so much, and I sew really slow. I would love to be one of those people that can just magically whip through them. Do you sew for a living? Not completely. My main career is that I'm a professional circus artist and coach. My degree is costume design though, and I make costumes for circus artists as one of my side jobs. A costume I made for my friend Sarah Waggener. What kind of fabric are you attracted to? I'm a big solids fan. My dream would just be to have bolts of the entire Kona solid line as my stash. But I do like mostly solid prints with geometric features, not big into swirls or organic features (animals, nature... etc.). The first ever quilt I made. I just decided one night to bite the bullet and stop making random blocks that were heading nowhere, and just make a dang quilt. Two different charm packs. Slap em together into hst's and there ya go. 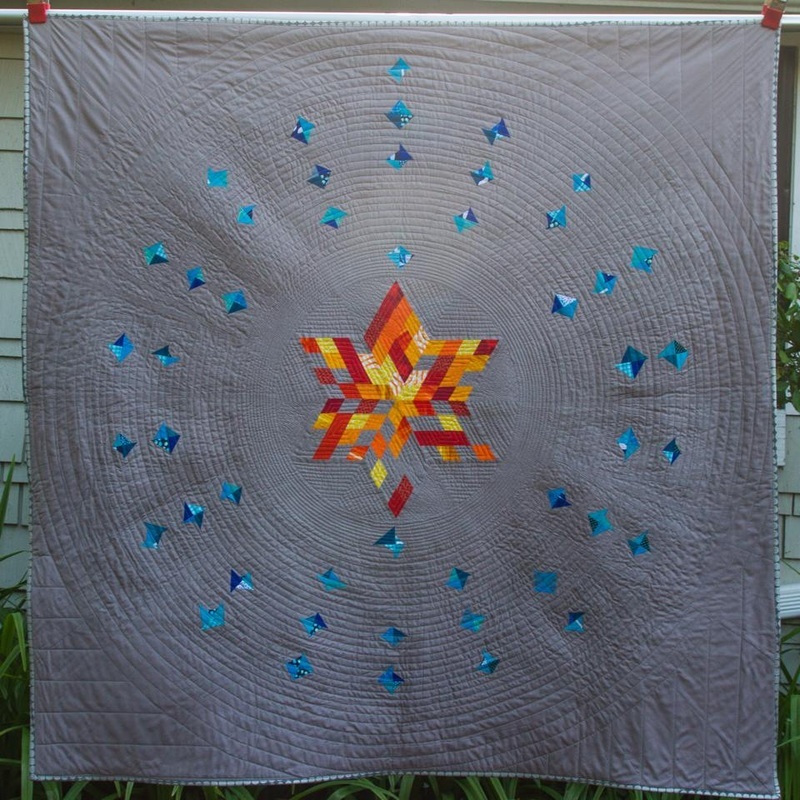 Tell us about the quilt that means the most to you and why. This doesn't have to be one that you made. One of the most striking quilts I've ever seen is the Gravity Quilt by Jaybird Quilts. I still haven't made one, but it's a goal of mine this summer. I want to do MOSTLY solids, but with bold prints thrown in here and there. It is such a powerful image, with the scattered hue-play all over it. The radiance and scope of the shape is really stunning to me. I am gonna make the border fade out to gray, and not white though, cause white fabric is usually not for long. You can spend the rest of you life practicing and becoming close to perfect at one of the following: quilting or piecing. Which do you choose? I'm a much happier piecer, quilting kind of stresses me out. But hmm, this is an intriguing psych question. From designing and picking fabrics to watching a recipient's face when they see your quilt for the first time, what is your favorite part of the whole process? Can I alter the question a little bit? I love every step of the process, except for the measuring and cutting out of the fabric part. 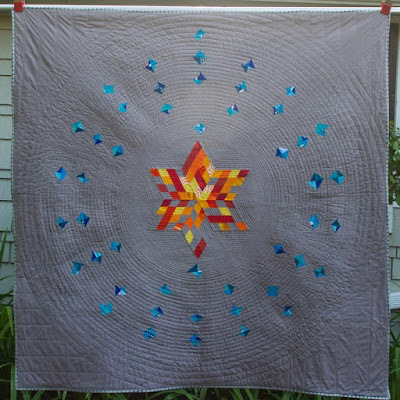 I have been looking into using laser cutters to cut out quilts. Though that would only work for quilts with a lot of the same pieces. I am an imagination-driven person at heart though, so I would say the design process is really my favorite. But that includes seeing how it comes together in real life. My favorite quilt so far. It took a lot of love from design concept, to making the pattern, to piecing and finally quilting (that damn spiral). Inspired by the Bohr model of the element Silver for the Modern Metallic Challenge. 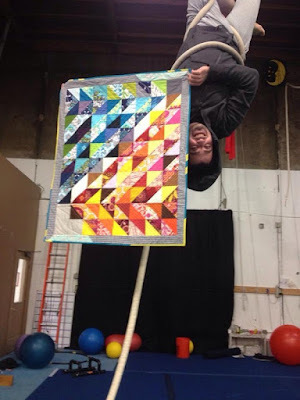 What do you do to get over a hump when you are stuck on a quilt? I do silly little things, sometimes it's just grab a bunch of the scraps from the project and improv piece them. Make a bracelet out of some scraps. Sometimes I'll just take a piece of leather and see what I can make with it using sewing, hardware like grommets and rivets, snaps... etc. Improv art. I got to be a feature on Sara Lawson's Sew Sweetness blog for her Bag Month. 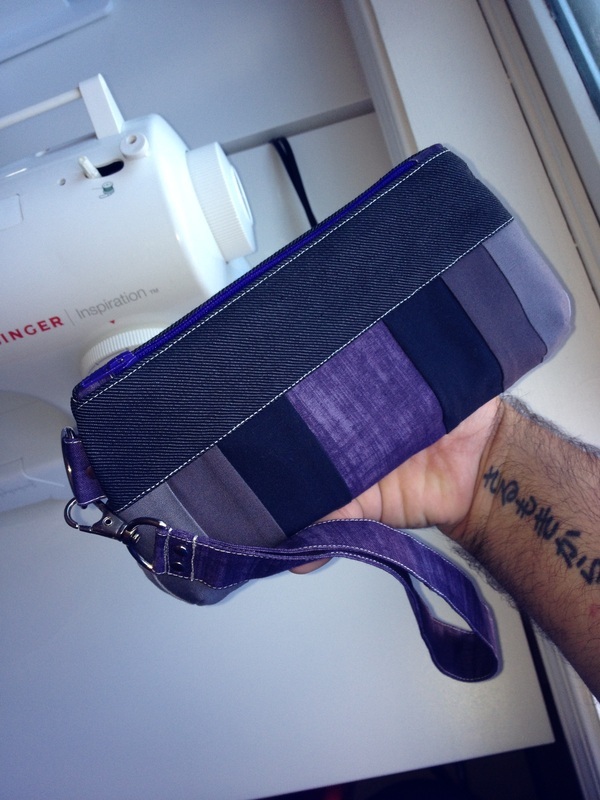 This was the bag I made (using Elizabeth Hartman's perfect zipper pouch pattern). My lovely zipper pouches. I love them so. What kind of other crafts are you into besides sewing? 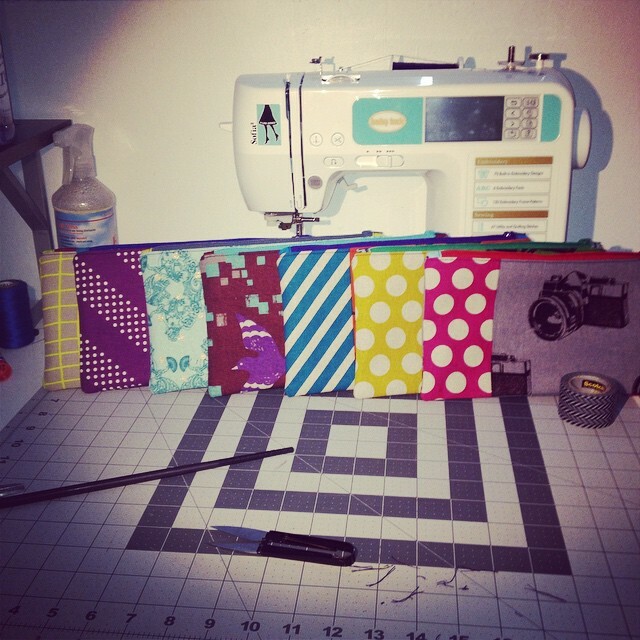 Well, I sew a lot of circus costumes, and I like making purses, wallets, handbags, zipper pouches. Occasionally, I'll dip into couture fashion. Mostly different branches of sewing. Every winter, I go through a knitting phase that doesn't last too long. 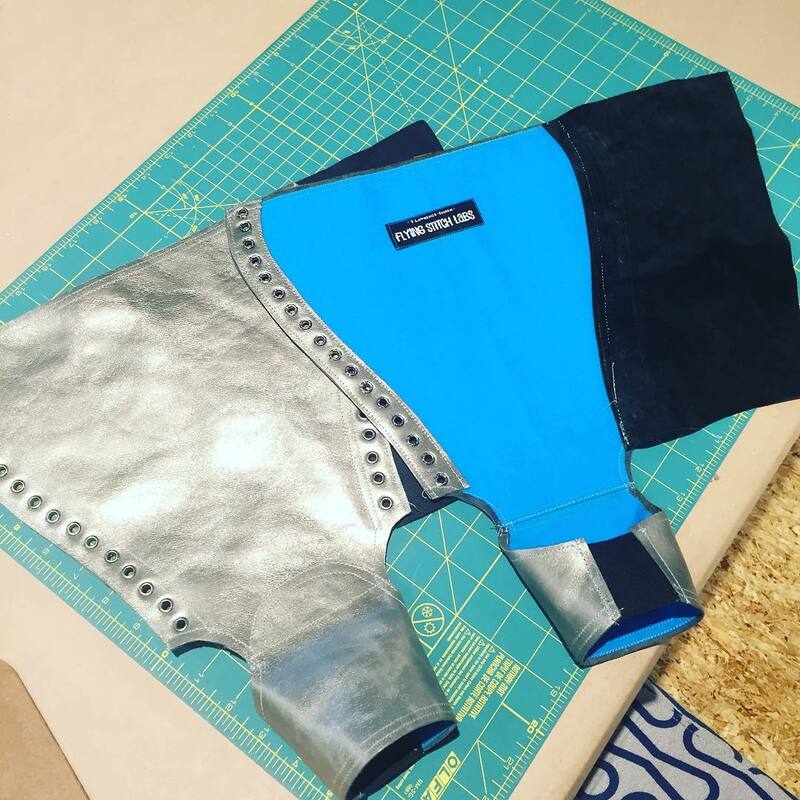 I make a lot of these for customers, they are called Trapeze boots or Chevaliers. This is my favorite pair so fair. Silver and turquoise. Where is your fave place to eat in Cambridge? I go on dates with my circus school boss at Ginger Exchange in Inman a lot. Do you have any favorite blogs/Insta accounts we should know about? And where can we find you on the internet? 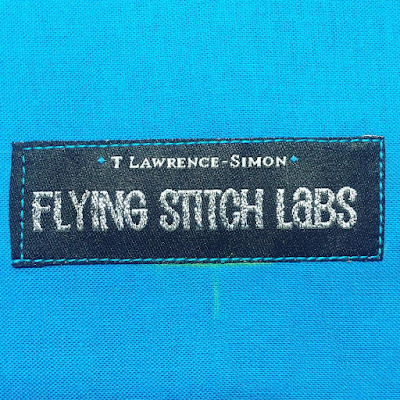 My internets are FlyingStitchLabs.com (seamster) and HoopArtist.com (circus). My Instagrams are @HoopArtist and @FlyingStitchLabs. 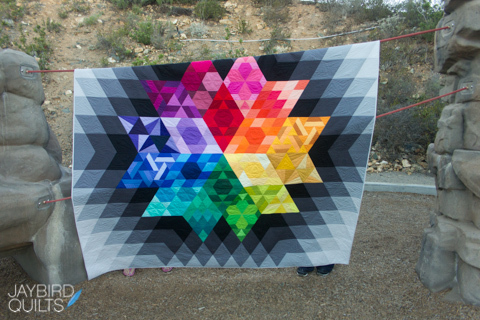 My quilting heroes are Angela Walters, John Q. Adams and Libs Elliott (I don't know her, but I think the world of her design concepts). 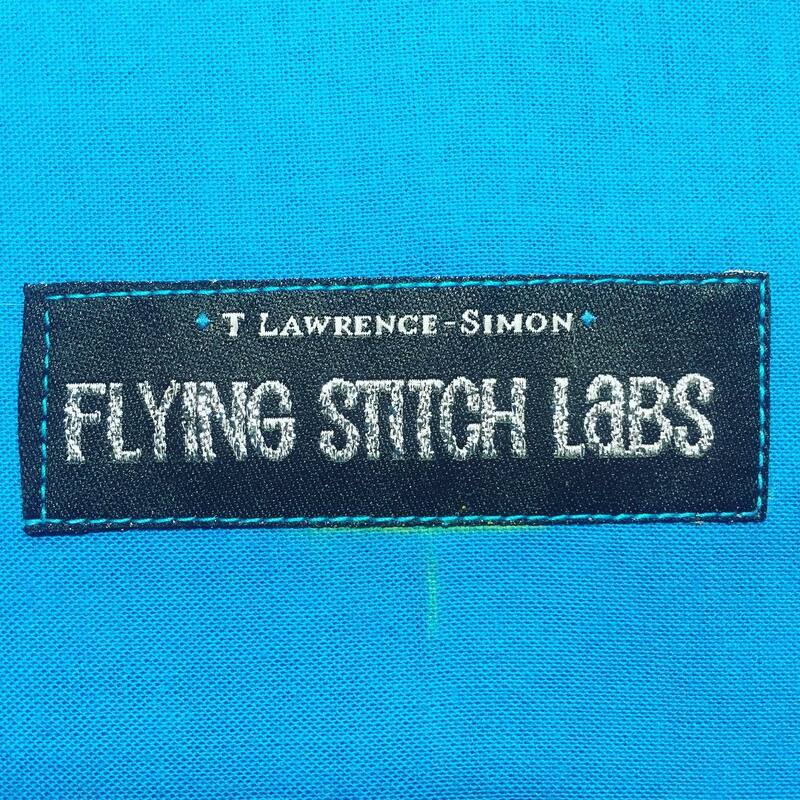 My label that I got from Etsy custom woven...I love the glitter threads. Come take a circus lesson from me at ESH Circus Arts in Somerville! Whatever reason you think of for why you can't is mostly ridiculous. The circus is welcome to anyone. See you all on June 26th! SOCIAL SEW IN ANNOUNCEMENT! 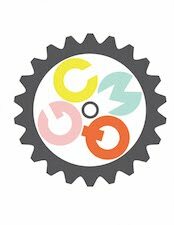 Jan 5th at the Lexington Community Center!